Saddle up and get ready to create lifelong memories! How many sunsets have you seen while riding? Who’s up for an adventure? I’m talking about the kind with four hooves underneath you and uncharted territory to explore. Saddle up for an equine trekking experience! Once you see these photos you won’t be able to resist booking a trip. Nothing like the big skies of Wyoming. Anyone up for a gallop across the beaches of South Africa? Some may prefer a dive in the waters of Costa Rica. A trip to Mexico is always a must! In addition to summer fun, don’t neglect winter. Embrace the snow of Montana with a fun extreme sport. Lastly, how about a dreamy trip to Italy? A ride on cobblestone streets is calling my name! 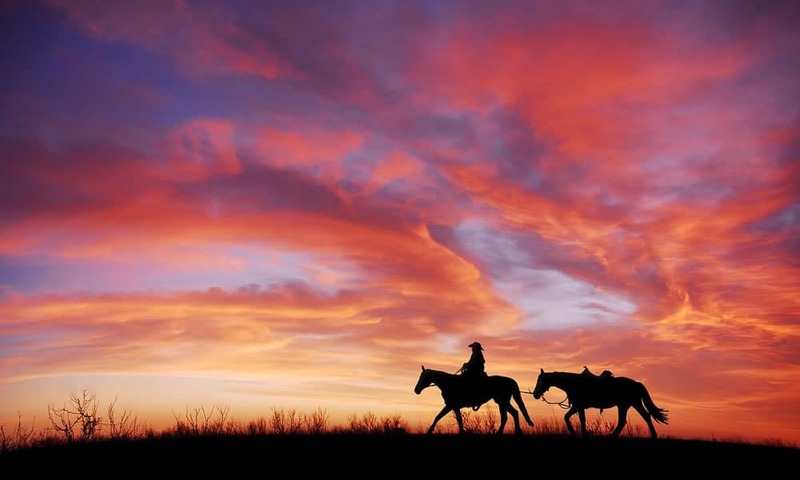 Cowgirls, equine trekking can be for anyone. You don’t have to be rich, you just need to crave adventure! Check out @equitrekking for more breathtaking ideas.